A friend from my choir asked me to make a card for his daughter's first wedding anniversary. It doesn't seem a moment since I made their wedding card. Here I decided to use some newsprint washi for the top layer of some layered die-cuts, the first anniversary usually being interpreted as the paper anniversary. 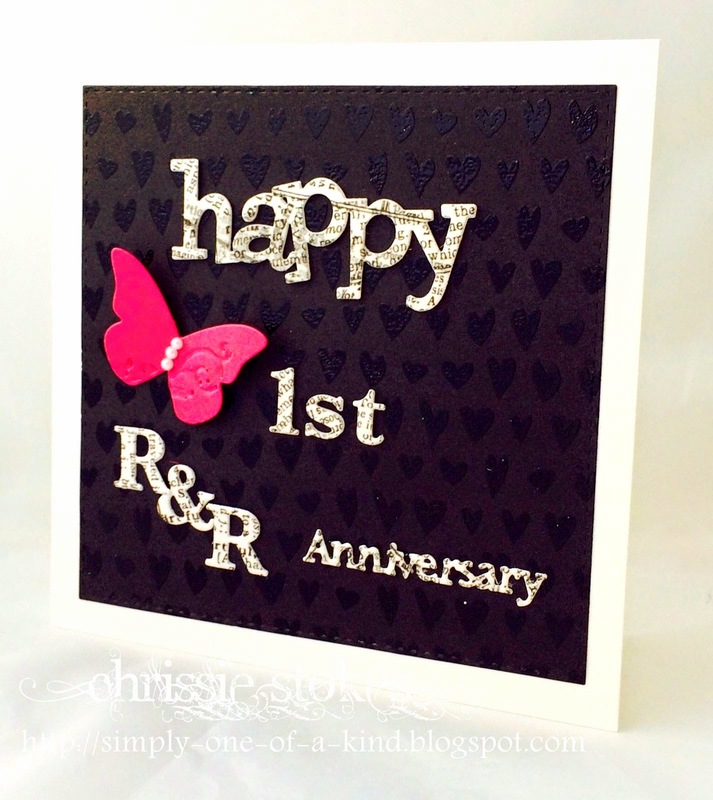 I clear embossed some SSS background hearts and added a Stampin' Up butterfly in bright pink. The die cuts are a mix of Tattered Lace (anniversary), Wplus9 (happy) and Memory Box (everything else). Newsprint matches perfectly for the first wedding anniversary. :-) I like the background. The card is fabulous.